by Gerald M. O'Connor with you today. I have been out of town due to a family funeral but have this on the top of my review pile for next month. Check it out below and look for my review next month! 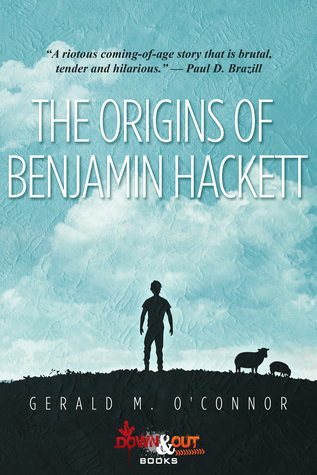 The Origins of Benjamin Hackett is out now! I am a native Corkonian, born in 1975 in the village of Blarney. 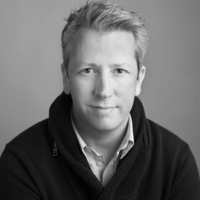 I studied dentistry in University College Cork and spent 18 years working in the UK. I am currently living in Dublin with my long-term partner, Rosemarie, along with our three children. I have been writing all my life in many ways, but for the last four years I have been doing it full-time. I love to read all books, no matter the genre. I write character-driven novels of various styles ranging from fantasy to black comedy to contemporary literature. When I am not glued to the keyboard, I enjoy sci-fi films, spending time with my very patient family and being anywhere in sight of the sea. My first novel ‘The Origins of Benjamin Hackett’ will be released on the 6th of February 2017 by DOWN AND OUT BOOKS, and will be available on trade paperback and ebook formats. I am currently working on the final draft of my second novel ‘The Tanist’ which is due for completion soon.